Before I share with you who we are, let me first help you understand who we are not. We don’t have a large warehouse stocked with racks full of office furniture manufactured somewhere offshore. We are not a company that buys our office furniture from a manufacturer somewhere that we have never gone or personally know the builder. We are not a company that has sacrificed quality just to compete for the lowest price. 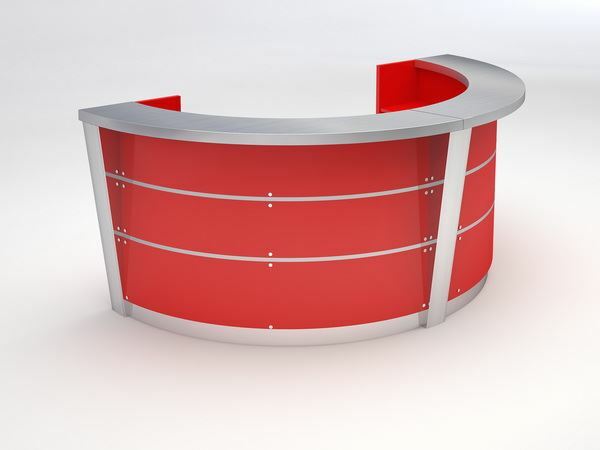 We are not a company that offers the same office furniture products you find everywhere else. We are an office furniture builder that that is owned by principles that has been in the industry for 16 years, with customers nationwide. Every piece of office furniture you buy from us is built right in our facility, under our strict supervision. Every piece of office furniture you buy from us is built just for you, the way you want it to be. Every piece of office furniture you buy from use is assembled and quality tested by us before it is prepared to ship to you. Every piece of office furniture you buy from us is built by quality-minded American craftsman. Every piece of office furniture you buy from us is built from materials of your choice, so as to match your design scheme, size and budget. When you call 90 Degree Office Concepts, you actually get a knowledgeable trained professional that can help you select the best office furniture for your business. That means we don’t just ship you a box of something we have never seen or laid hands on. You will get a person that can help you get the best selection possible for your business. 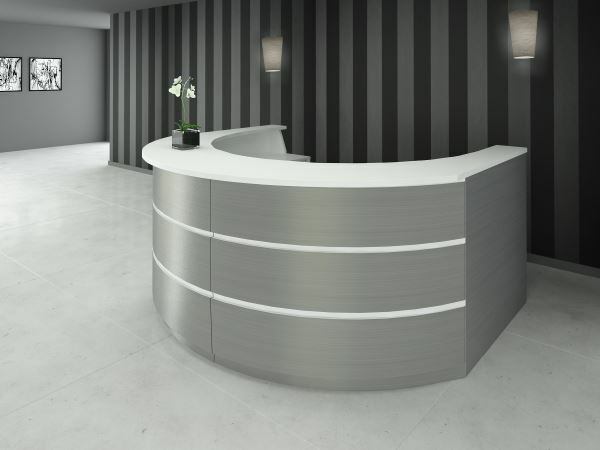 We are located in south Florida and we have been progressively innovative in our approach to modern office furniture design and business profile. While some companies’ boast of longevity and stability as a sales tool, we at 90 Degree Office Concepts believe it is important to have stability, however, we also believe it’s more important to focus on getting better, to continually find ways offer customers better quality, and better solutions for their business needs. History is plagued with stagnate companies doing the same things year in and year out that just never change. Our quest at 90 Degree Office Concepts is quality innovations. Imagine a world where everything is white. The streets, houses, cars, even the food you eat, white. Without knowing a difference, it would probably seem okay and normal. After all, you don’t know what you don’t know…right? Imagine now what would happen with the introduction of the colour red. How would it be received? Would there be controversy? Would there be an expression of relief? Would this approach seem way too radical? Growing up as a Boomer, the perception of “the professional office” carried with it a whole different meaning than it does today. Everything seemed white and crossing that line was taboo. Office colours that were considered acceptable in the minds of most were limited to… oh well you know. Designs of furniture were all pretty standard. Conversely, in these modern times, companies are slowly reversing their thinking about professional business design. As younger entrepreneurs enter the business world, professional trends have become more relaxed, daring and possibly more radicle compared to years ago. We started out in the office furniture industry many years ago selling used office furniture. We quickly found out all the things indigenous to that product that did not work well for our customers and ultimately our relationships with them, i.e., uncommon wear, dents, chips, scratches and a multitude of misgivings that made our customers unhappy. We discovered, even though they were seeking bargains, they did not want an office looking inferior to their image vision. In an attempt to sell a better product and help our customers have a better experience, we began refinishing, reupholstering, repairing, replacing all furniture parts. In order to make customers happier, we began taking furniture apart, rebuilding aspects, building add-on’s, and redesigning all furniture before shipping. This gave us the experience to see how almost every office furniture manufacturer under the sun built their furniture. Our furniture redesigns became popular because we were able to take used furniture, repurpose it and sell it for a profit and ultimately make a happier customer. In the middle of that process we began selling offshore office furniture and quickly discovered, our customers were more interested in our redesigns and repurposed furniture because the quality was better, and the price, dollar for dollar was a much better deal. That’s when we decided; let’s build a line of custom designed office furniture that is different from what is typically available in the marketplace. Let’s make it cool and modern. Let’s offer, size, material and finish options. And here’s the best part; we decided to sell direct to the consumer so as to offer the best bargain for the most modern office furniture. At 90 Degrees we believe inspiration begets inspiration. We feel creativity and inspiration are greatly influenced by one's very environment. Therefore, our commitment to finding business solutions is attached at the hip to looking and being different from the pack. 90 Degree Office Concepts has been designed with the forward thinker in mind. We focus our attention on style, user-friendliness, flexibility and cost conservation. Questions about how we can best serve and inspire our clients perennially dominate our thinking. Question: How can we provide enough style that sets our users apart from the hum-drum prevalent in the office environments today? Question: How can we provide furniture that removes the complex dealer design and installation process? Answer: By creating furniture that is sustainable yet capable of being installed by the novice. Question: How can we produce a sustainable product that suits the design and function needs of our users? Answer: Options, options, and more options. We work with you and provide an array of surface materials; woods, metals, laminates and glass colours, to choose from and help design your look that sets you part. Together with style we provide options that make our furniture as movable and flexible as you need. Question: How can we provide a sustainable product that is cost efficient? Answer: We design and build products by using materials and implementing creativity that is tailored to a conservation profile. 90 Degrees is a directional metaphor that reminds us that being creative and forward thinking is what drives us. Our focus is on office trends in style and providing new ways to solve emerging challenges within the office environment. Our staff has designed and manufactured furniture for decades, and we are committed to using our expertise and creative ability to provide our clients new and innovative products that excites the imagination. "This has been fun. Can't wait to see the "final touches" (seating, round tables, etc.) bring everything all together. We are getting rave reviews from everyone (including the Fire Marshall :D)." "90Degree Office Concepts and Bernie are a pleasure to deal with. Priced rite and fast turn around, delivery and installation. Thanks Bernie!!!!"